Well our holiday this year was certainly different…! Looking back to our holiday last summer, Freya was 7 months old and now I realise it was actually quite easy. Yes it was difficult as she had only just started weaning so was mainly on milk; which was formula by this time so we had to still sterilise bottles. That was a challenge in a hotel room! BUT she didn’t move… wow, that was an easy time! Although I am not saying I don’t enjoy these toddler times. Each stage keeps getting better and better (minus the toddler tantrums). This year was easier in the fact that we no longer sterilise bottles, we just ensure we are washing them in very hot soapy water. She is drinking less milk, which is also cows milk. She is happy to eat (fairly) any food. She is also at the stage that she enjoys looking through books and watching Peppa Pig, so there were a few things that I felt would help us during our travels with Freya. I asked on my stories the week before we travelled for any tips whilst travelling with toddlers and I had some lovely and very helpful replies. So with those tips and my own I have put together this blog post… top tips for travelling with toddlers. Stay Calm: Traveling with little ones can and probably will be a challenge; but staying calm will help to keep them calm. Especially when they are unable to properly communicate, they will feed off of our energy. Be prepared that there will be potentially stressful times, but what fun would it be if there wasn’t! I found that constantly talking to Freya and describing literally everything I saw that would distract her and keep her interested with “Freya, look!” “Freya, can you see that aeroplane over there?” “Freya, where’s Mummy’s nose/eye/ears” etc etc… I probably drove others around me mad; but hey, Freya was kept entertained and happy! 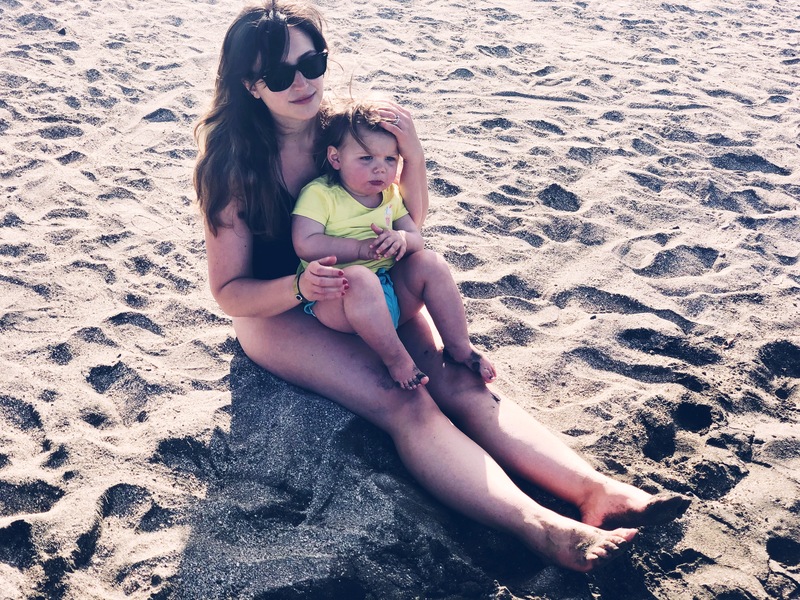 Be organised: I read a few blogs, chatted to other parents and asked on instagram stories for any tips for travelling with toddlers. I had a lot of advice, which I noted down and packed our bag accordingly. A lot of snacks, books, sticker books and downloaded Peppa Pig (which Freya loves) to the Ipad so that we could use it still when out of wifi signal… like on the plane. Entertain: Be prepared to entertain them the whole time… Forget sitting back, listening to music or reading a book. I actually took a book with me… WHAT was I even thinking pahahaha! Change it up and keep it interesting: Toddler’s attention spans are pretty short… preempt this and take a variety of different activities for them.. such as books/toys/sticker books. Whatever your child is interested in. And if you can have a few new items for them that will help and keep their attention for slightly longer. I bought some cheap sticker books all about animals and vehicles… as this is what Freya is interested in! So not only was there the activity of the stickers, but I also talked Freya through each page and taught her about the animals on each page, making their noises and encouraging Freya to copy. 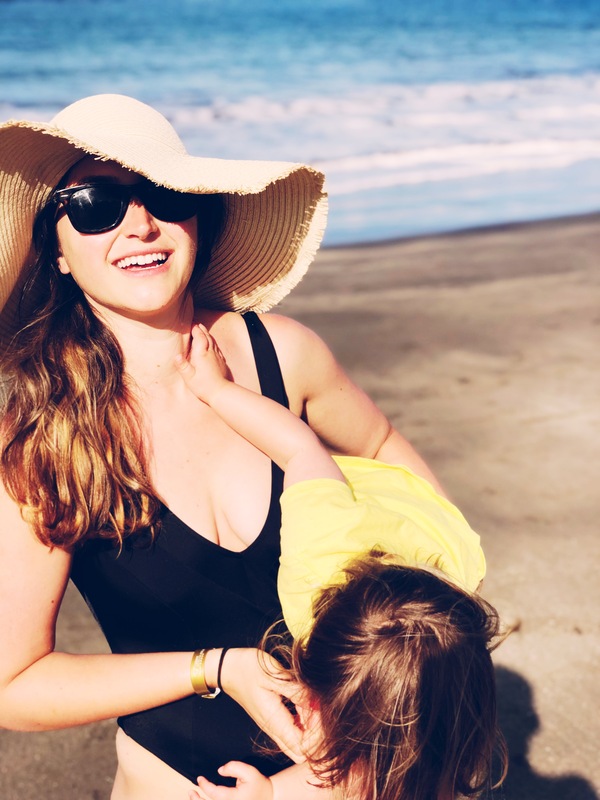 Make it fun: By having fun with your toddler, it will be a more enjoyable experience for them… which believe me will make it FAR more enjoyable for you! Drink or dummy for take off and landing: Think how painful it can be for our ears on take off and landing; then imagine it for them, when they don’t understand what is happening and why they are in pain. If your child has a dummy then by giving them it for take off and landing can really help ease this pain. Or feeding them with a drink… the sucking action is said to help ease the discomfort. Last year we fed Freya her milk but this year she had her dummy. Both times were a success and she did not cry. Reins: Now I know these can be controversial, but I think they are brilliant. Freya has got used to wearing them now and does not seem to notice them on. She is happy and excited as she can walk and run around, but I can relax knowing she cannot run off and get lost. Win win. Travel buggy: Be aware that during your travels your buggy will be going through a lot… we bought a second-hand stroller buggy and then a case separately, which has a shoulder strap so you can easily package the stroller up and carry over your shoulder. Just don’t walk out of the airport, get to your car before you realise you’ve left it on the baggage reclaim belt.. yep, that was us last year! Change of clothes: It is inevitable that clothes will be caked in snacks etc from a day of travelling. So pack a spare change of clothes just incase there is a bigger accident…like Freya last year; on take off she had explosive diarrhoea. Whilst strapped to my lap. Which went through to my jeans…. which leads me on to my next point. Change of clothes (parents): As I said in the previous point…! Plastic bag: This can come in handy for many reasons… dirty clothes, nappies, snacks. Changing mat: A lot of airport toilets are not too pleasant and they might not always be available even, so to take a travel changing mat (ours came with our changing bag, folds up small and can be machine washed also) can be a nice back up. Rucksack: Forget shoulder bags during travels. A lot of the time you will be carrying your little ones, so to have a rucksack is far easier than balancing a shoulder bag on one side, and a wriggling toddler on the other side. Separate wallet for documents and passports: Most of your bag will probably be taken up with your little ones belongings and snacks so to have a separate wallet/zip bag that holds your passports and documents is really helpful to keep separate and easy to reach. Also if you are rummaging around for your passports etc you may pull out something else and lose items. Make the most of baggage allowance: Now we did not do this but we have learnt!! We were over our baggage weight allowance and could not move anything into our hand luggage because we both only brought rucksack. So next time, Steve would have a cabin bag on wheels for his hand luggage at the maximum size allowed, and then I will have a rucksack containing all of Freya’s items. Snacks: So important. Having lots of snacks was so helpful for us as it kept Freya entertained and prevented the hangry toddler! I hope this has helped for anyone planning a holiday with little ones. Freya travelled really well, I think this was down to a little bit of luck but also a lot of prep! Happy Holidays!